Photo Shoots, Remembrance and off to Sawbridgeworth! 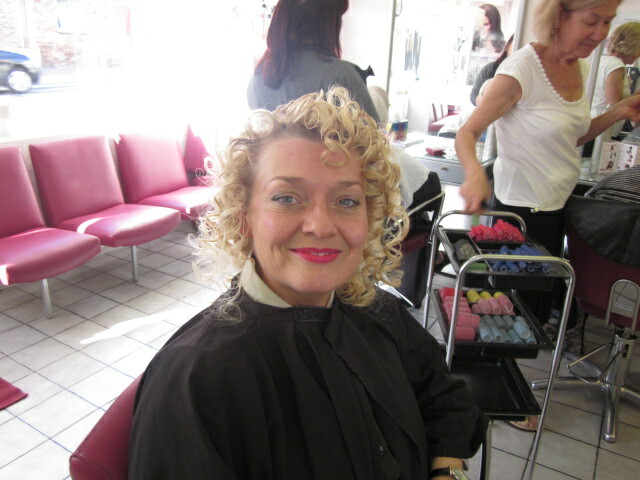 Me at the Hair Dressers Getting Ready for my Photo Shoot! 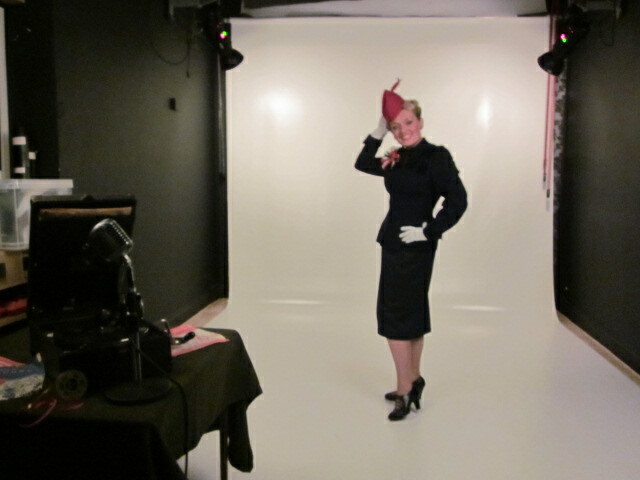 Behind the Scenes From Wednesday’s Shoot! 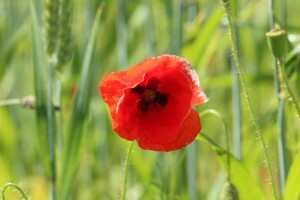 Don’t Forget to Wear Your Poppy This Sundy! As ever I’m in a dash again to get everything ready for this weekend of remembrance. Once again I’ve had a busy week and this time I was out and about in Stoney Stratford doing a photo shoot on Wednesday with my friend Colin. When ever I do a photo shoot I always like to put in a lot of preparation, and for those of you who follow me on Facebook you have probably already seen my behind the scene shots at the hair dresses! I have so many beautiful costumes I want to share with you all which is why I like to have them recorded photographically, this way you can enjoy them as much as me! I wont get my photos back until after this weekend but do keep following and as soon as I do I shall post up a few of my favourites for you to see on facebook – so watch this space as they say! In the meantime I shall be off to Sawbridgeworth tomorrow for remembrance Saturday. 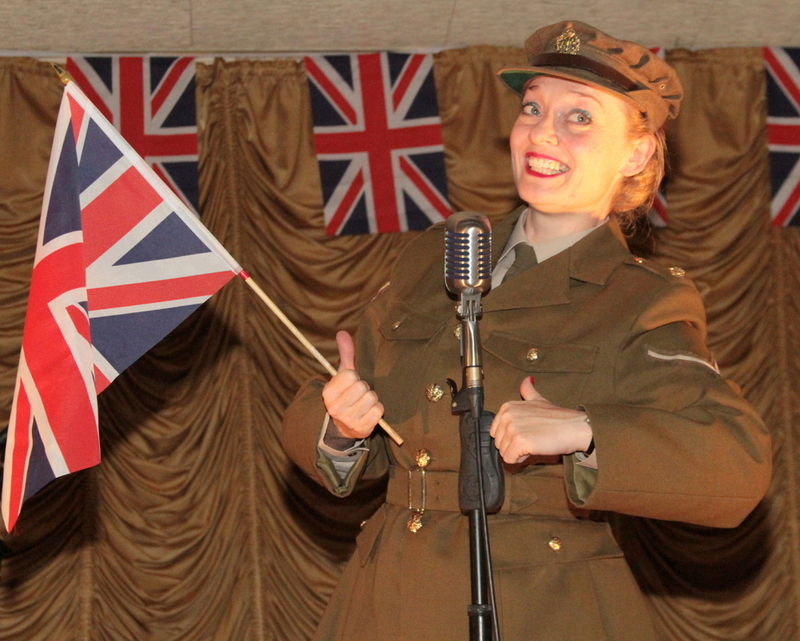 I’ve been booked to perform my WW1 show “Pack Up Your Troubles” and the event is being staged at the Memorial Hall. With the Great War centenary a trench has been recreated as a center piece and I’m looking forward very much to performing for the town once more. There will also be lots of military vehicles on display so I know it will be a fantastic event. The event begins at 10.30am and guests can be driven in a military vehicle to the airfield memorial near Trimms Green. I’m booked to perform at the Hall for 2pm so I have my costume already packed and pressed! For remembrance Sunday I shall be singing all day at Waddesden Village Hall for a Vintage Fashion Fair. So for all you lovers of Vintage Fashion do come along. I will of course be observing the minute’s silence at 11am. These things are so important and we must never forget our fallen! Speaking of which I caught up with my friend Joe Marling – “The Poppy Man of Pitstone” on Monday on my way home from Normandy. Joe stands outside Masons Stores in Pitstone every year without fail collecting for the Poppy appeal. Last year he single-handedly raised £2300. and he is keen to beat his target this year. So if you haven’t bought your poppy yet do pop along and see Joe as I know he would be delighted to see you. One last thing before I dash – don’t forget to pick up your November copy of the Best of British magazine. If you don’t know it’s available to buy in WH Smith and it’s a must have for anyone who loves nostalgia. This month the magazine are running a competition where you can win a signed copy of my latest Music Hall and Variety album “The Good Old Days”. Five albums are up for grabs and all you have to do is answer the question on page 75. It’s ever-so easy and the anser can even be found in this blog post so do have a go and good luck every-one! If you want to find out more about my many albums and CDs just click onto my CD page of this web-site and you can read through all my play lists.